You can now view our CIRCUS ring in 3D! Click on the image below or go to our CIRCUS ring catalog page and see its details. It will lead you to a page just like the one shown here. All you need to do is to drag on the image or scroll and you will be able to view the ring up close in all angles and scale! 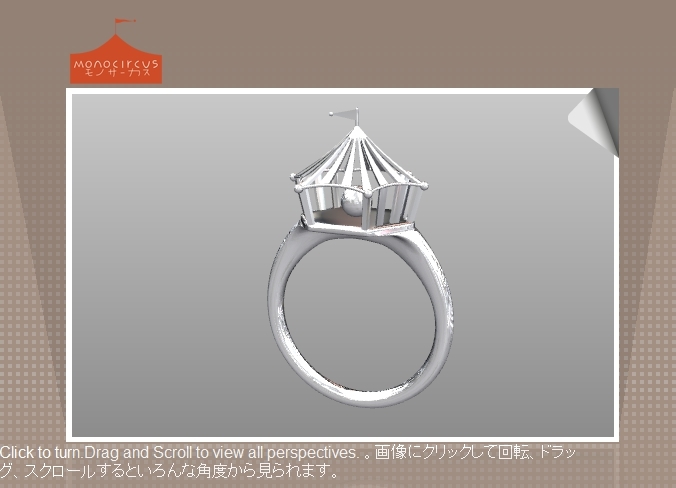 and when you click the image once, the ring will begin its automated rotation view.